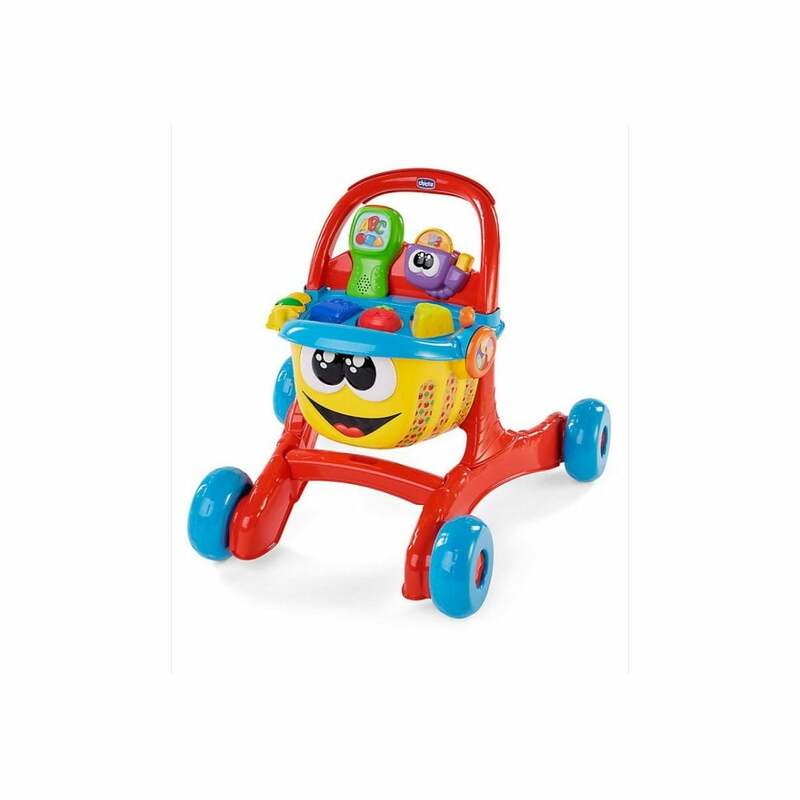 The Chicco Happy Shopper is fun activity centre and walker that helps your baby take their first steps and starts helping them enjoy learning new skills. Why should I choose the Chicco Happy Shopper? The Chicco Happy Shopper is a 4 in 1 activity centre suitable from 9 months. It helps your baby learn to walk, it introduces role playing games by getting them to shop, it has various mechanical activities and it also introduces your baby to the French language with its bilingual scanner. The removable scanner of the Chicco Happy Shopper recognises 3 objects and teaches your baby the the colour, name and shape in both English and French.